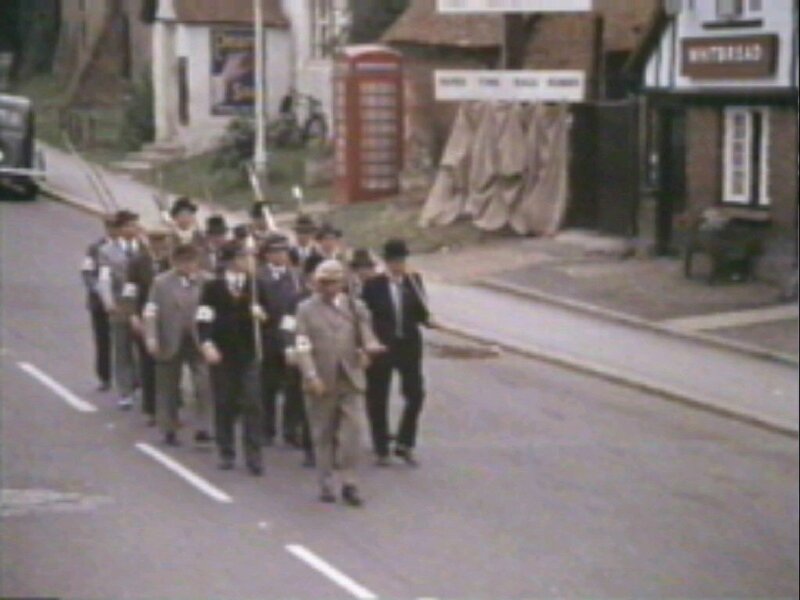 In 1971 Dad's Army was transported quite successfully to the Big Screen. The casting of Liz Fraser in the role of Mrs Pike was a decision made by the film company who thought a bigger name was required to help with distribution of the film in the US. Needless to say, this was an unpopular decision and it quite upset Janet Davies, the "real" Mrs Pike from the TV series. 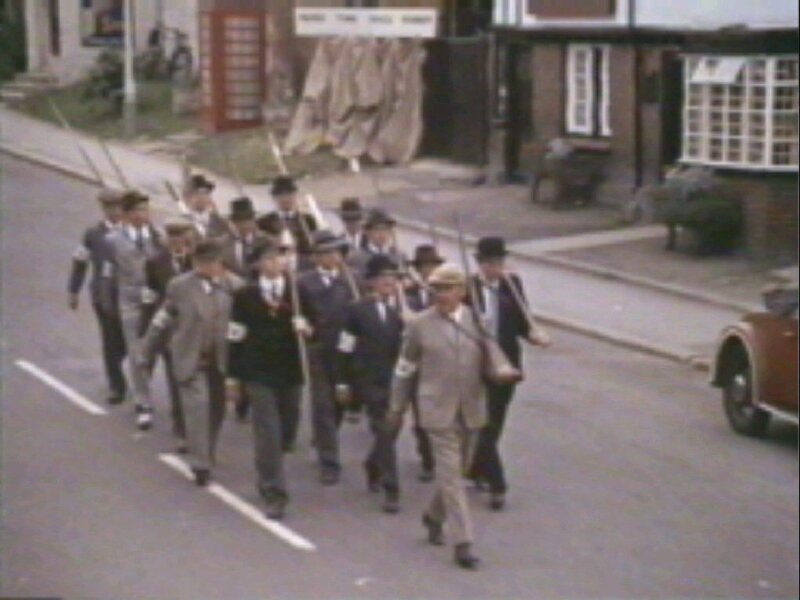 Following the national radio broadcast by Anthony Eden asking for recruits for the Local Defence Volunteers, the town's men form the Walmington-On-Sea platoon. George Mainwaring, manager of Martin's Bank, decides that he should lead the platoon, especially in view of his Army experience in France in 1919 - a year after the Great War ended! Also recruited are Arthur Wilson - Martins Bank's Chief Clerk, Jack Jones - Butcher, James Frazer - Undertaker, Joe Walker - Spiv, Frank Pike - Martins Bank's Junior Clerk, Charles Godfrey (Retired). Follow our heroes through their training, their disastrous weekend camp and their heroic action at the end of the film when they capture a Nazi aircrew. 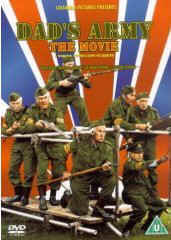 The show was set in the fictional seaside town of Walmington-on-Sea, on the South Coast of England. 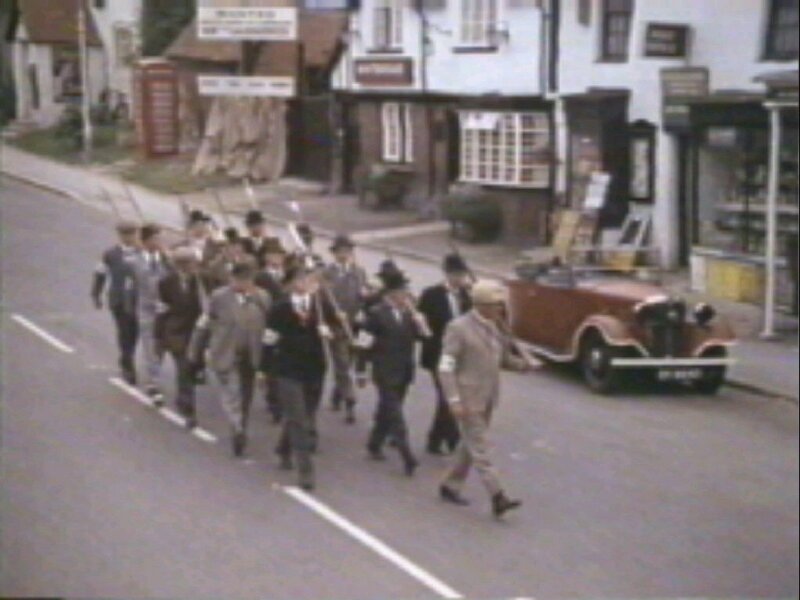 (though it was mostly filmed in and around Thetford, Norfolk). However, when Columbia Pictures came to make the Dad's Army movie (released in 1971) - they abandoned the normal Norfolk locations and headed further south. 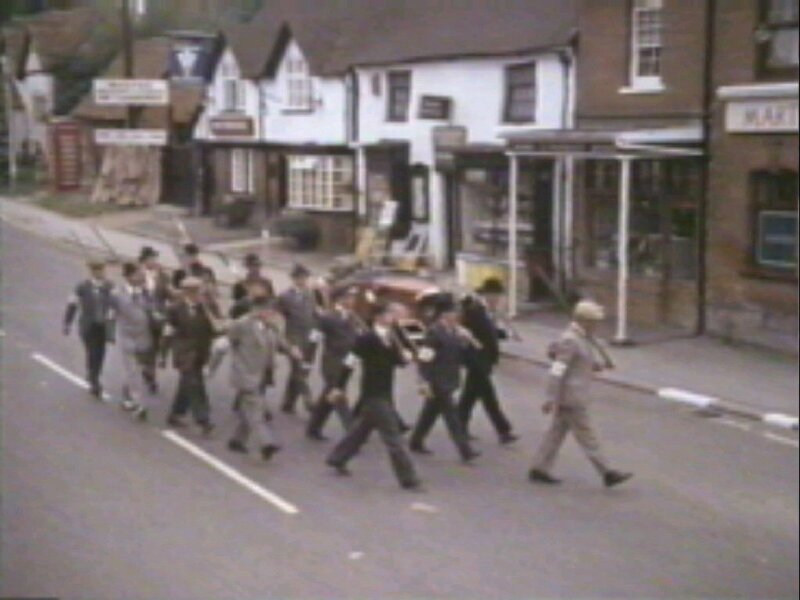 Chalfont St Giles in Buckinghamshire was transformed into Walmington-on-Sea - while other scenes were shot at Seaford in Sussex and at Shepperton Studios. The famous scene with the white horse on the raft heading down river was filmed at Chobham in Surrey. Thus, the Home Guard were in the front line in the eventuality of an invasion by the enemy forces across the English Channel, which formed a backdrop to the series. 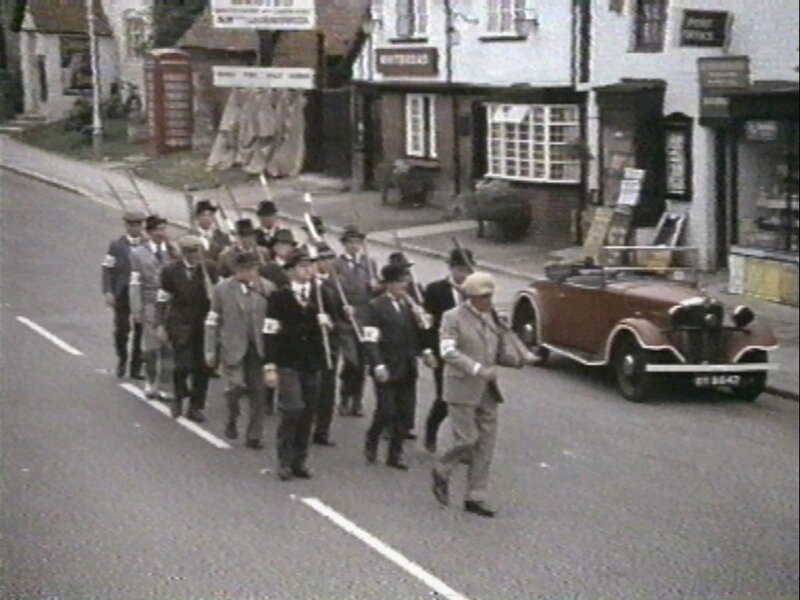 The first series had a loose narrative thread, with Captain Mainwaring's platoon being formed and equipped - initially with wooden guns and LDV armbands, and later on full army uniforms (the platoon were part of the The Queen's Own Royal West Kent Regiment). 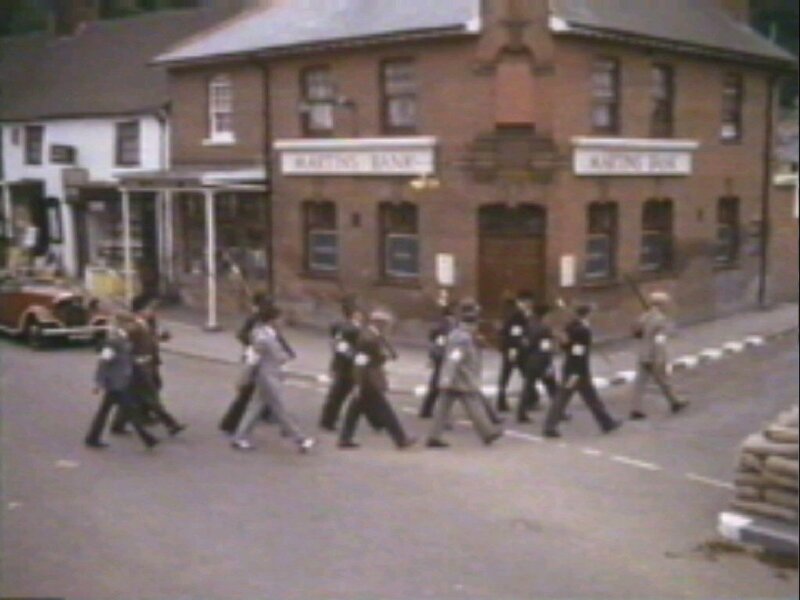 The first episode, The Man and the Hour, began with a scene set in the "present day" of 1968, in which Mainwaring addressed his old platoon as part of the contemporary "I'm Backing Britain" campaign. 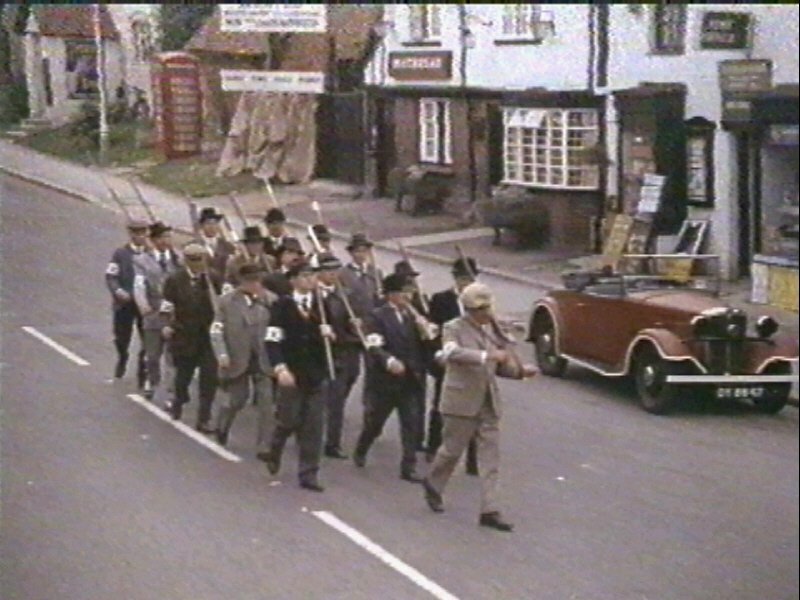 The prologue opening was a condition imposed after initial concerns by Paul Fox, the controller of BBC 1, that it was belittling the efforts of the Home Guard. 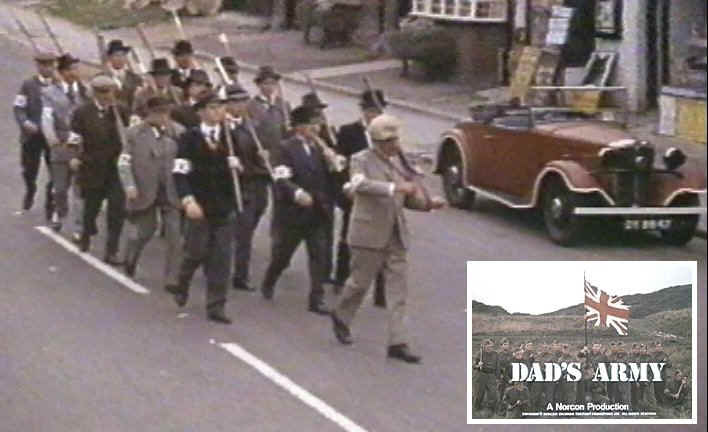 After Mainwaring relates how he had backed Britain in 1940, the episode proper began; Dad's Army is thus told in flashback, although the final episode does not return to the then-present. Later episodes were largely self-contained, albeit referring to previous events and with additional character development. 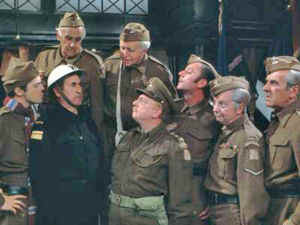 Since the comedy was in many ways dependent for its effectiveness on the platoon's failure to participate actively in World War II, opposition to their activities had to come from another quarter, and this generally showed itself in the form of Air Raid Precautions Warden Hodges, although sometimes the Verger or Captain Square and the Eastgate platoon. However the group did have some encounters related to the war such as downed German planes, a U-boat crew, parachutes that may have been German, and German mines. The humour ranged from the subtle (especially in the relationship between Mainwaring and his sergeant, Wilson, who also happened to be his deputy at the bank) to the slapstick (the antics of the elderly Jones being a prime example). Jones had several catchphrases, including Don't panic!, They don't like it up 'em, Permission to speak, sir, and talk about the Fuzzy-Wuzzies. Mainwaring said Stupid boy, in reference to Pike, in many episodes. 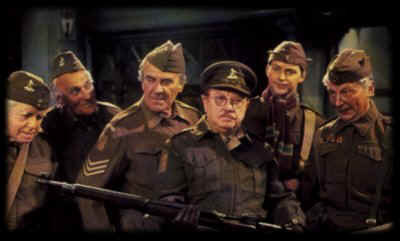 The first series occasionally included darker humour, reflecting the fact that, especially early in the war, members of the Home Guard were woefully under-equipped and yet still prepared to have a crack at the German army. 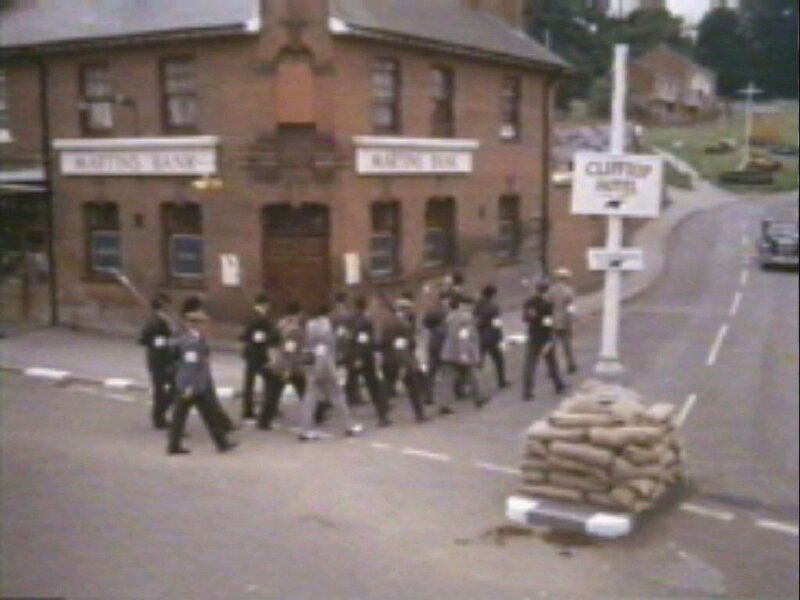 A poignant moment to this theme occurs in 'The Battle Of Godfrey's Cottage' episode, during which the platoon believes an invasion to be taking place. Mainwaring and a few volunteers decide to stay in the village to hold off any German advance so information can be relayed back by the rest of the platoon; "Of course, that will be the end of us." says Mainwaring, "We know sir." replies Frazer, before getting on with the task in hand. 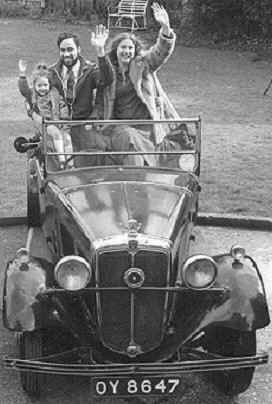 1934 Morris 10/4 Two Seater Tourer with "Dickie-Seat"
The car was being re-painted at the time and when the film was being made, so it was coated in red "Bondaprimer". It added to the authenticity and didn't cause undesirable reflections due to the dull matt finish. Registration Number 77 RA 29. This is a Wallis and Steevens Advance Roller. It was built April 1940 and weighed 6 tons. It's present name is Wentworth. Thanks to Rupert Giles for the information. Built by Shelvoke and Drewry. Now owned by the Southern Counties Vehicle Preservation Trust, Copthorne, West Sussex. Thanks to Richard Monk for the information. "Did you know that the truck used in the movie was not the same vehicle as the one used in the TV series. I understand that the owner of the truck used for the TV series overpriced the vehicle for the film, so they selected an alternative, which was supplied via the Cyril G Groombridge Military Vehicle Collection. I was in my teens at the time and was fortunate enough to attend some of the location shoots."